The exercise of leadership is most critical in times of crisis and it can manifest itself in countless ways. On October 16, 2008, in the middle of one of the rockiest rides the world financial markets have experienced since the Great Depression and with a global recession appearing inescapable, Warren E. Buffett, considered by many to be the sagest investor of his generation, wrote an Op Ed piece for the New York Times titled Buy American, I Am. Warren Buffett is not only widely respected in financial circles, his profile among average Americans has risen in recent years. It’s really hard to hide when you are the richest man in the world and he recognizes that. He also knows that he has more credibility in financial matters than politicians in DC and the now exposed Wizards of Wall Street. People want to hear what he has to say. His advice is simple and direct. Even if you’ve never invested a nickel in your life, you can appreciate it. 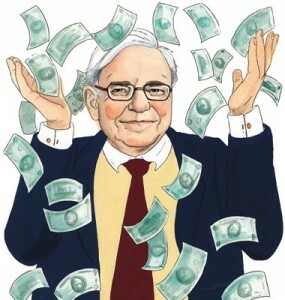 Buffett also does what all good leaders do in painting a positive picture for the future. Buffett’s famous for his down to earth honest style of communication; in fact he’s perfected it to an art. He doesn’t stray from this in the OpEd piece. He spends the next couple of paragraphs outlining some history and effectively building his case. He basically tells us that while it might feel good to keep our investments in cash, history has proven that over time this will most likely turn out to be the wrong move. For the close Buffett reminds us that he’s only human and can’t predict the future and follows up with a recommitted statement of buying American equities. On October 5, 2008, Steve Lohr wrote a great article for the NY Times titled Like J.P. Morgan, Warren E. Buffett Braves a Crisis where a comparison of the two financiers during periods of market turmoil shows how much some things have changed over the years and how others have not. Their times and personalities are vastly different, of course. But J. Pierpont Morgan’s role in the Panic of 1907 has its echo in Warren E. Buffett’s actions during the current financial troubles.